We normally respond to all requests within 1-2 hours, during normal business hours. We offer multiple services in order to help with your problems. We offer treatment for the following conditions. We offer a comprehensive array of Chiropractic services to help you. You will find our treatments both comfortable and effective. Brian Hilbert DC has more than 29 years experience as a Chiropractor. 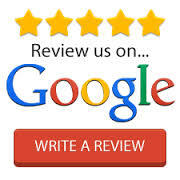 Visit our Testimonials page to find out what our patients are saying about our office. We are providers for all major insurance companies. We provide care for neck and back pain, hip, disc herniations or bulges, leg or arm pain, shoulder, knee and other injuries caused by car accidents, work injuries or sports. We also treat general conditions like fibromyalgia, arthritis and headaches. If you want to find out more, please Email Us or call 320-255-5188 with any questions.